Holidays are notoriously difficult for those with infertility. 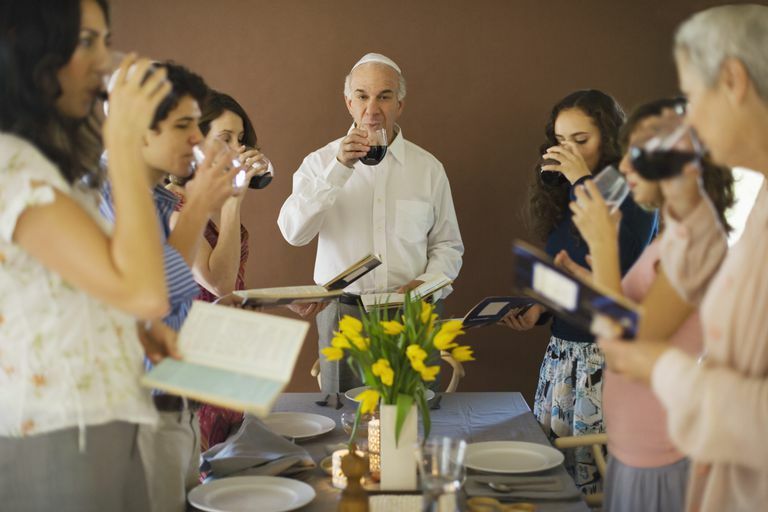 For Jews, Passover may be one of the most difficult holidays to confront. The entire theme of the holiday is the giving over of the Jewish people's story, the exodus from Egypt. Many of the holiday traditions — from hiding the afikomen to the asking of the four questions — are made just for children. Judaism, in general, has a strong emphasis on passing down tradition. This can be painful for those who have no children, whether because of infertility, loss, or never marrying. How can a childless Jew embrace this passing down of the Jewish story? How can they find their role in the Passover holiday? Rabbi Berel Wein, noted scholar and Jewish historian, tells this story, which he heard from Rabbi Moshe Pardo himself. Pardo has since passed away. Moshe Pardo was a wealthy Jew in Turkey. He owned many businesses and properties. He also had a number of orchards in Israel near the town of Bnei Brak, before Bnei Brak became the city it is today. He had just one daughter. A few weeks before his daughter's wedding, she contracted meningitis and died. Seeking solace and advice, Pardo visited the Chazon Ish (Rabbi Abraham Yishayahu Karelitz), one of the leading rabbis and arbiters of the 20th century. The Chazon Ish was himself childless his entire life. Pardo told the Chazon Ish the story of his daughter. He then said, "I want to die, too." The Chazon Ish told Pardo that it is forbidden for a believing Jew to think like that. Then, the Chazon Ish told him, "I'll tell you what. You give up your business, Pardo. And you make a school for Sephardic girls, because you see what's happening here, the Sephardim are being destroyed. You make a school for Sephardic girls here in Bnei Brak; take some of your orchards and start. And I promise you hundreds of children and thousands of grandchildren." Pardo took the Chazon Ish's advice and founded Or Hachaim Seminary in Bnei Brak in 1952. For girls from kindergarten age up to high school, the school serves children from disadvantaged homes. Girls who would find themselves on the street otherwise. The school gives them a chance to have a livelihood. The school also helps make shidduchim, or matches, so they could marry. Or Hachaim Seminary in Bnei Brak still exists today, serving 1,500 students. On the day Moshe Pardo told this story to Rabbi Wein and his wife, Pardo pulled out a notebook. In this notebook, he had recorded the name of every girl who ever went to the school, what happened to her, and how many children she had. On that day, he told Rabbi Wein, his 4,000th grandchild was born. You don't need to be a wealthy businessman like Moshe Pardo or need to start a school to make a difference. There are many ways you can help Jewish children and pass on the Jewish tradition. Volunteering at Hillel on Campus or Chabad House, on Passover or any holiday. Ask if you can help them prepare and participate in the campus seder. I'm sure they could use the help! Deuteronomy 32:7 states, "Ask your father and he will relate it to you, and your elders and they will tell you." Not just mothers and fathers pass Judaism on, but also "elders" like you. Don't let your childlessness prevent you from fully participating in Passover or any other aspects of your religion. Depending on how far you reach out to help Jewish children and young adults, one day you too may have "hundreds of children and thousands of grandchildren." A Series of Lectures by Rabbi Berel Wein, Lecture #722, Great Biographies I, Rabbi Abraham Yishayahu Karelitz (Chazon Ish) II, Destiny Foundation, https://www.rabbiwein.com/, recorded between 43:00 - 47:00 minutes.